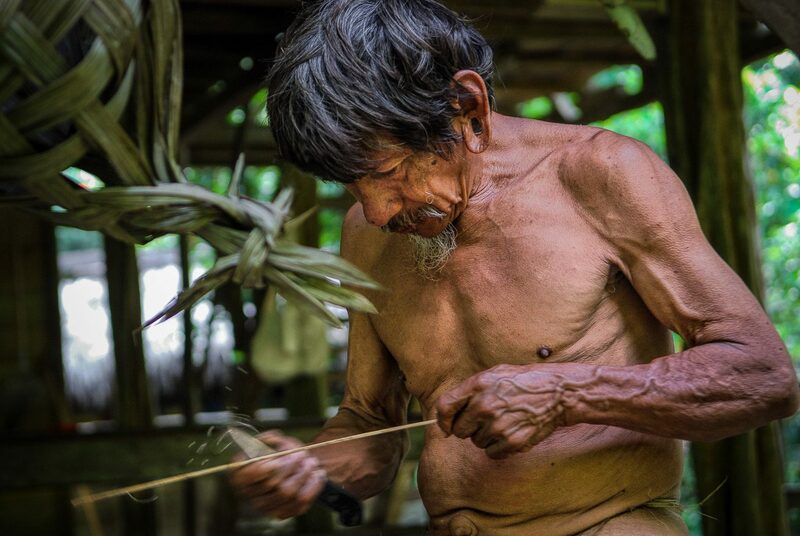 Mocka, on old Huaorani warrior, is preparing arrows for his blowpipe. 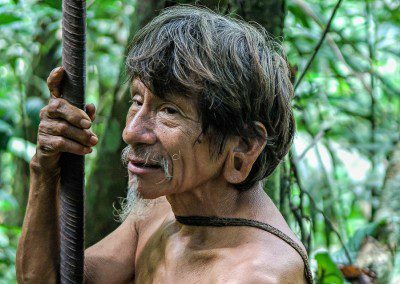 He is a former Huaorani warrior and a fabulous example of the great body of knowledge that those people have of the natural world. He is between 60 and 70 years old. No one knows exactly. With him I was able to go for long walks in the forest and have unforeseen experiences. For this picture I intentionally choose a more or less low speed – 1/60 sec. – because I wanted the movement of his hand and the knife to be blurred to suggest the sharpening of that piece of wood. The low DOF – F3,2 – is also intentional to blur out the background. 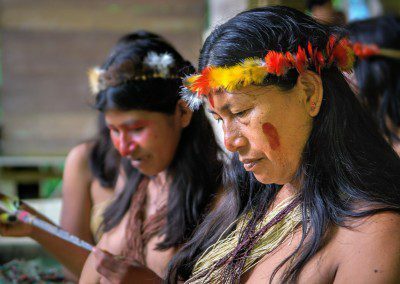 The Huaorani are called the most ferocious tribe of the Amazon. They are excellent hunters and feared warriors who inhabit a damp, green world full of the sounds of many creatures. 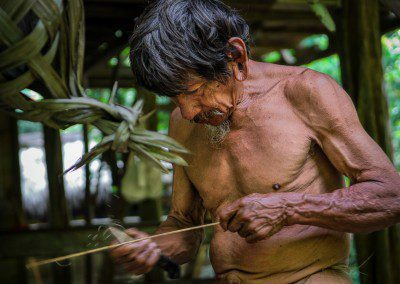 In the spirit of these people is the deep and intimate knowledge of animals and total confidence in the natural world.